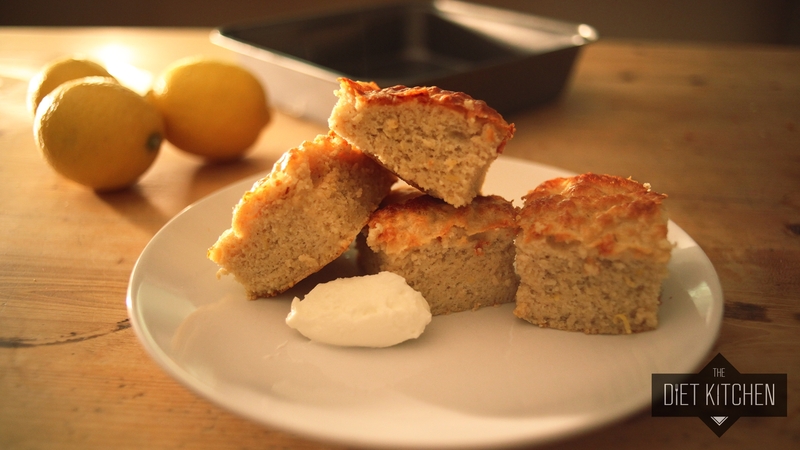 The recipe i've made today is a Lemon Cake! When you add the acidic lemon juice to the baking soda, an amazing sciency thing happens and causes a reaction and little bubbles start to appear and you'll even see a little fizzle here and there!! This creates a lovely crunchy crackly top whilst protecting the middle and keeping the rest of the cake moist and airy and just amazing! Combine the whey, oat flour and baking soda in a mixing bowl. Mix it all up! Add the egg whites, greek yoghurt and water. Grate the zest of the 2 lemons in, then squeeze all their juice in too! Mix everything together and watch the bubbles and fizz appear!